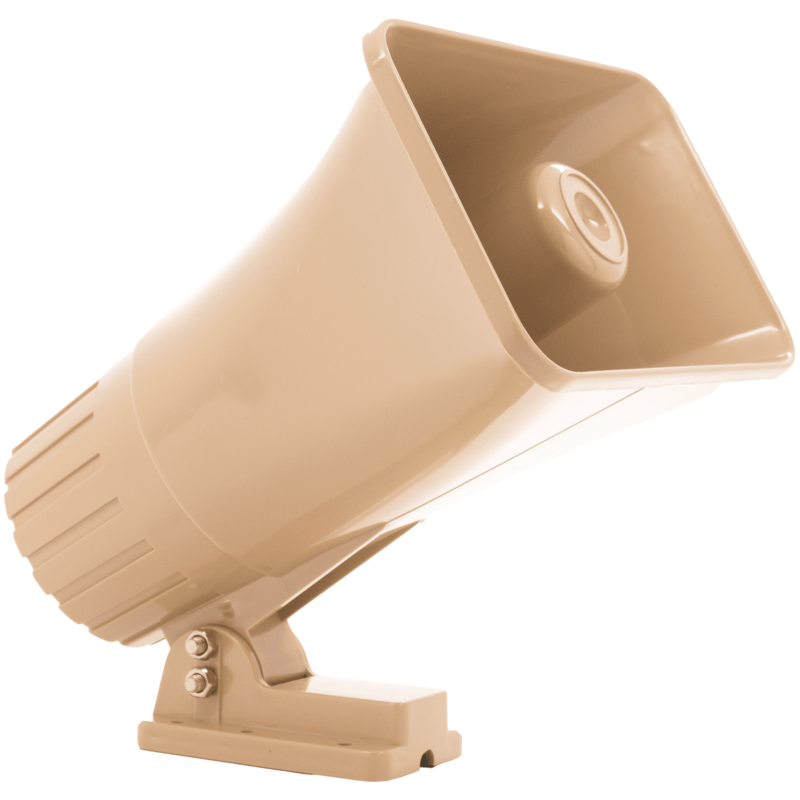 The Honeywell 702 is a self-contained, hardwired electronic siren which is a combination driver and speaker that emits an extremely loud sound. Dual channel capability allows field selection of yelp or steady sound with the steady sound having priority with both activated. The 6 to 12 volt DC operation makes the 702 compatible with any burglar alarm system, fire alarm system, auto, truck or boat alarm system having 6 to 12 volt DC output . The weatherproof, high impact plastic construction gives the unit the flexibility of being used in interior or exterior applications without a steel housing. The base of the 702 is designed to slip over a tamper switch offering additional protection if the installer elects to mount the unit without a box. Should the unit be removed from the wall, the tamper swith is activated, triggering the alarm within the premises. Additionally, the 702 alarm siren is extremely loud as it has a 30 watt power rating. We recommend adding the 743BE Honeywell alarm siren cabinet if you plan on installing the 702 self-contained alarm siren outdoors. The 743BE metal cabinet will protect the 702 alarm siren from the elements.